My profession has given me an opportunity, to live different life's in one life. 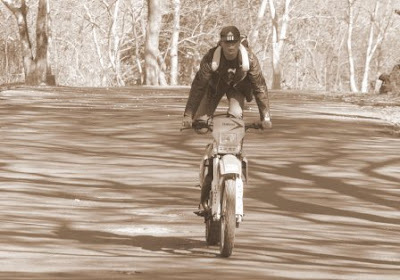 life is a daring adventure or nothing at all. There are millions and millions of people who go to work everyday and they have their ups and downs, most of them have a routine job, day in and day out, same place , same people, and same work pattern. I am sure most of them get bored, Here in India , so many professionals like doctors, engineers, lawyers join the film industry after they had a successful career, after many years of work they feel , they have not lived life they really wanted to live, the profession of Acting gives them the opportunity to live life adventurously, they can do something which they were not allow in their profession, certain societies does not allow certain things. The experience of humiliation and height of praise, which I got while shooting, would like to share, I was shooting for this film called " Vithal Vithal " I played the role of a murderer who turns into a saint and then repents and commits suicied I was play the character of a murderer who runs and take shelter in the crowd going towards Pandharpur, I am in a bad shape, my cloths are torn, I look like a beggar, till I was with the shooting unit I was treated like a star, so every time I was invited for lunch by the warkari people, the traveller, one day I was little hungry so walked towards the transit kitchen and asked for nice hot bhakari , and the women didn't recognise me being the same actor, scolded me and thought I was a beggar, then someone saw me and recognise and then told her that he is dressed like that as he is acting, but for a moment I felt humiliate, the experience was for the character but because I was play it I went through it, I feeling which is unforgettable. And the same film gave me a complete contrast experience, when the character turns into a saint, I am completely transformed, and we were shooting in Pundharpur, I was wait under a tree for my shot to come, the unit were shooting near by, two women came and touched my feet thinking I was a saint, I was shocked i told them that I was on a saint I was acting in a film and still they didn't believe me, one woman kept on telling me that she has nothing left in life, and is completely satisfied with her life, all her children are well settled and now she just want to do seva of the lord, what a pure soul that was, I will not be able to put this experience in words. Subal Sarkar " The Dancing Legend "
I met Subalda ( Subal Sarkar ) two days in a row, Rajan wanted a choreographer for the songs of " Most Wanted " and the first name came to my mind was Subalda, I was looking forward to work with him again after ages, and that day has come, I have met very few lovable people like Subalda in this ruthless film industry, and the work that he has done in the film industry , no body would be able to come close to him, I was fortunate to work with him in my first Marathi film " Nilambari " and that too a semi classical song, he gave me rehearsals and we shot the song in Nashik at Pandav lene ( Caves ) and one song in Mumbai's Gateway of India and worli sea face.. what an experience ? 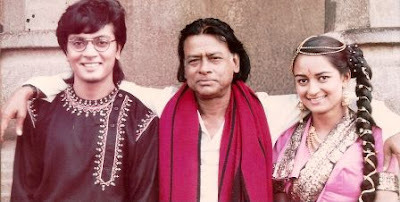 and after that we kept on work together, he knew I was a non dancer and still he casted me in many of the songs, I even did a Sindhi song for films division, also for Doordarshan Diwali song, one koli song I did for him was in front for almost one lakh people at Shivaji park in the year 2000, I remember a song sung by Suresh Wadkar was picturised on me and we had shot that song in the hills of Paratwada near Amarawati, beautiful locale and extraordinarily choreographed by Subalda. 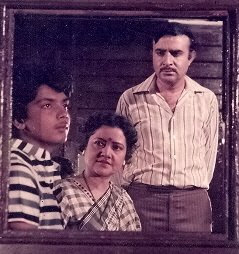 I have fond memories of working with him, and also experienced his love and affection for me and my family, he is great as a dance director and equally great as a human being. I keep on reading about Bachchan family " Unforgettable world tour " and every day some or the other news keep coming , sometimes about the lost baggage or some times about record ticket sale, recently Anil Ambani offered Rs. 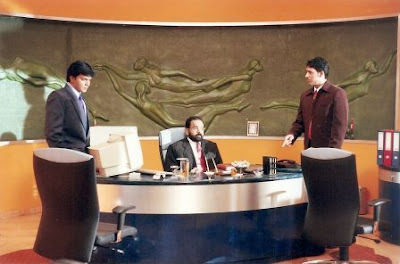 100 crores to ABCL to make films. Amitabh started writing blog, has become media friendly, Abhishek and Ashwaria both of them all the time in news. I feel behind this huge success is only one person that is this Iron lady called Jaya Amitabh Bachchan, I always felt she must be very strong, even when Amitabh was struggling in the film industry in the initial stage, she was a big star, and even after his huge success she took a back seat and supported him to grow bigger and bigger , reach the height where no man has ever reached, and still she has managed keep him there, when the film Silsila came I was wondering how could Jaya Bachchan work with Rekha, you really need to be a very strong headed person to play this role, when the media and the public had talked about their affair so much, and both make it obvious when they don't interact in public functions, Jaya Bachchan managed to keep her husband loyal , when you know it was difficult for Amitabh who was on the peak most of the time to be loyal to her. Standing behind him at the time of crises , which he was many a times, polities, ABCL, his illness, career downfall. She always took a back seat. Whenever I see her sitting next to Amitabh or Abhishek smiling in these award functions i don't why but I feel happy. 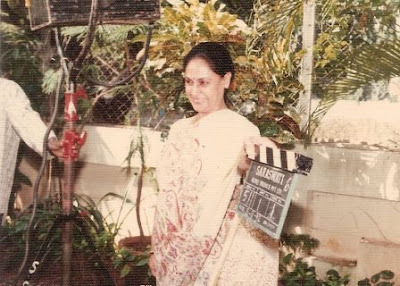 I was fortunate to meet her once when I did her serial called " Saat Phere " which she made for TV Asia in the US under her banner Saraswati Vision , she came on the set for the muhurat clap , then interacted with the cast and crew, she had given this serial to one of her old FTII friend Madan Bawaria, who was not good at handling kids and had problem with a child, then he replace that child with Sai Devdhar, as Debu Devdhar was the cameraman of the serial. 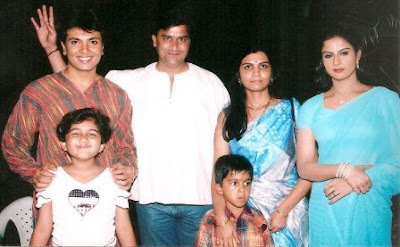 This serial had Parikshit Sahani who played chess with me on the set, also Prajakta Kulkarni who had become known with the film Damini. We couldn't see the serial as it was telecast in the US on TV Asia. and then Saraswati Vision was also not activity as it was also affected with ABCL disaster, I remember one day I got a called on behalf on the Bachchans for the celebration of holi at Pratiksha Bangalow. And I was in disbelief, and I still don't believe that, obviously I didn't go. That's it with the Great Jaya Bachchan, I am sure till she the support to the Bachchans, both Amitabh & Abhishek and also Ashwaria, they will always be unstoppable, and reach to such a pick where no family has reached. 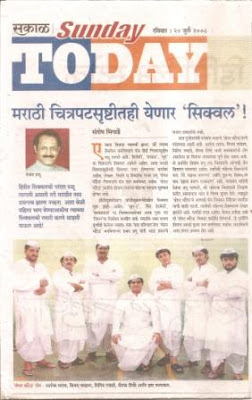 Article in Sakal on " Most Wanted "
Paper publicity has started , Sakal news paper has lot of readers, I got calls from lot of friends, mumma called from nashik as she got a call from someone, my parents feel happy to read about me in the news paper and I feel one should work harder to make parents proud and happy, that is priceless. I had gone for morning walk so while coming home picked up this news paper. I feel print media and films is interrelated, both depend on each other, and if they coordinated and cooperated with each other bot will be benefited, as both have a common enemy and that is the television, and because of 24/7 news channels the news paper is affected, and because of movies show 24/7 the theatre business is affected, but the positive side is both theatre and news paper has its own charm and dedicated audience, and it is going to stay. So back to the film " Most wanted " , it is making news, and print media is also helping it create an awareness, Rajan is working really hard to make it a success, and the confidence he show by announcing its sequel before the release of the first film is admirable. 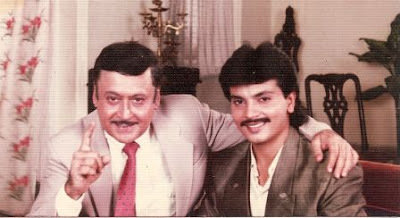 my best wishes to him and his hard working team..
Kishor Kapoor , a dear friend, my co-actor, my philosophical guide, and also my acting Guru, he played many roles in my live, we first met on the set of a Hindi film " Hum bachche Hindustan Ke ", he always said he saw a spark in me, he considered me as a raw material which can be moulded, he took me to Govind Saraiya personally at Nepansea Road residence, and when I was casted for the teenage Hindi film " Waqt se pehele " he personally trained me for the role, we use to meet at birla krida kendra, marine lines. at 2.00pm we started meeting and the training went on till he was satisfied, improvisations, visualisation, relaxation, then making me comfortable with the co-actor Suparna. And unknowingly we became fond of each other, we became friend, he use to Act then, he was playing my father in the film, and in one scene he had to hit me because the principal has complained against me, he hit me really hard, it was very realistic, I was young and took it sportingly. After I quit Radio Kishor Kapoor was the first person I went, and by that time he had started his Acting School, in his flat. I was enrolled immediately and was given scholarship, the batch was Stardust Academy, seven people were selected by iminant personalities of the industries, amoung them was Sonali Bendre, Divya Dutta, Amar Upadhay, Indrayani Bannerjee and I was put into that group, then after the coarse I continued there for some time, I got a film called " Vartaman" as a second lead directed By Pradeep Maini, Kishor Kapoor use to keep on recommending me to many producers and directors, I was too young, and didn't know the film industry much, we both had our portfolio together shot on his terrace. Eventually we became very good family friends, I had to his Delhi house many a times, my functions or his get together we were an integral part of each others family. Today when I spoke to him regarding one family friends admission, I became very nostalgic, went into the flashback, remember the moments we spent together, his contribution in my career, also in my over all development. He still has lot of hopes on me, he always said and believed that I will make it big, when Hritick Roshan became a star and mentioned Kishor Kapoor name on stage I envied him, I wanted to do it and never had a opportunity to so, I think the life time achievement award which I am going to get will surely give me that opportunity to mention his name to the world that " This Man Kishor Namit Kapoor has turned an ordinary stone into a diamond "
Press Publicity of " Most Wanted "
This was the press conference arrangement by our PRO Mrs Sunanda Kaluskar & Sanjay Bane in Surve farm, Panvel. this is the press from Mumbai, even Poona press reporter had come of the set. Many of my friends are Smokers, and I am concerned about them, every time they smoke I feel uncomfortable, and because I become passive smoker but because I can visualise the damage being done to their lungs, the nicotine which goes in the blood, earlier I used to take a cigarette from the person who offered me and crush it in front of him, he used to get very upset and would say " why do you take it when you don't smoke? you have wasted money. " this used to be only one time trick as the next time that person never offered me his cigarette. This time Jay Pandia one of our lead actor in this film called " Most Wanted " not knowingly offered me his cigarette but I didn't crushed it but broke it, and asked my driver Geetish to apply it on the wind screen of my car, Jay was surprised, didn't feel that his cigarette was wasted because he too didn't know like many others that " Rubbing Tobacco on the wind screen of you car in rainy days helps water flow and doesn't allow the water to stay on it, which helps the driver to have a clear view while driving in rains. I have been thinking a lot about these intelligent people who smoke, and if they are intelligent why do they ignore the health risk, and I myself found the answers to these question, it becomes extremely difficult to quit smoking as the nicotine goes into your blood stream, and like you get hungry same way smokers feel the need to smoke after certain period. and if they try to quit then the symptoms are hard to handle. Again the question arises why do people feel like smoking in the first place, most of them start at very early age, like once Sunil Dattsab mentioned that carrying 555 packet was a style, yes most of them smoke as fashion & style and then get addicted to it, and when they realise it has already become too late.
" Most Wanted " second schedule is successfully over, shot at surve farm panvel, from this still itself you can imagine how the schedule was for me, little bit of up and downs but in the end its was fun all the way, almost 60% to 70% of the film has been covered. this me and Rajan got some time to play chess also, and he remember Rishida for the he love for chess, he mentioned that Rishikesh Mukharji cast same actors only because they knew how to play chess and would give him company while on set. 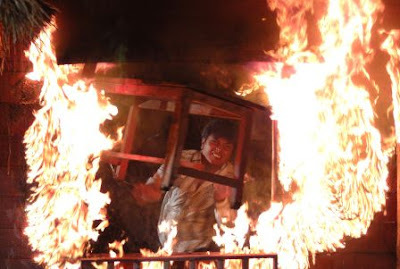 This was Vijumama's last scene of this schedule and it was a emotional one, he played it very well. The man to watch in this film is in the background and that is " Ramya " played by Rajan, Rajan is an extra ordinary actor, somebody on the set compared him to Kishore Kumar, and I do feel the same, he is versatile, a writer, director, lyricist, actor, singer and the list goes on. 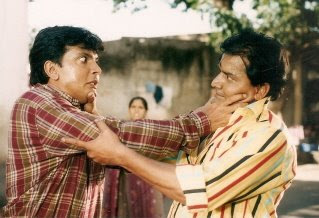 Ravi Patvardhan plays a strict father to Vijay Chavan who has not seen his son's face for 28 years and we go to him to convince him, he suited the role very well. From this still you can imagine that the film " Most Wanted " is Rajan's baby, he has worked very hard on the subject, he knows each and every character by heart, even their dialogues and their accents, I am sure this will surely be a successful venture. This is what Viju mama does when he is on set, he is a delite for everyone around, very mischievous, we have no choice but to laugh all the time, and his phobia for Dogs is world famous, he is dead scared and so he hates them very much, and even that is fun to watch when some dog come around and here on the set actor Deepak Sherke used to bring his Dog on the set. fun all the way. This is Sandy from Sangamner, with the still camera and behind him is Cameraman Anjumbhai. Sandy is always on his toes to capture unusual stills, some of his picture are special moments, he is been teaching me Photo shop and everything is going over my head. SMS reads " Garry Bindar is no more "
yesterday morning I getup and read this sms by my friend Sai Ballal " Garry Bindar is no more " , he had send this message at 00.00 hrs, and entire 52 episodes of "Kahani Teri Meri" ran through my mind, all behind the scenes with Garry had become fresh, and there was complete silence in my brain, Garry died of blood cancer at the age of 34 , unbelievable, he shouting, his laughing, his bad words are all echoing in my hears, he was a child, and intelligent child, wanting to make it big, wanted to go beyond Ekta Kapoors expectations, amazing energy level he had, I can go on and on with the little little experiences we had together, the satisfaction after a good scene and the anger when the same scene was ruthlessly cut by some Nivadita, making manav perform beyond his physical limits. This scene Garry enjoyed the most, when Urvashi had to remove my shoes while talking to me, and she was not comfortable doing it, and Garry was having a galla time forcing her to do it, I still remember his smile, he loved troubling her as she was an odd man out, and everything happen in a sporting manner, he wanted her to remove both of my shoes and in the process I could sense her uncomfort I suggested that as she goes to remove my shoes , I will do it myself , but her insisted that it has to be her , but ultimately I stopped her doing that in the scene, he had fun , he laughed like a child. That laughter still echos. 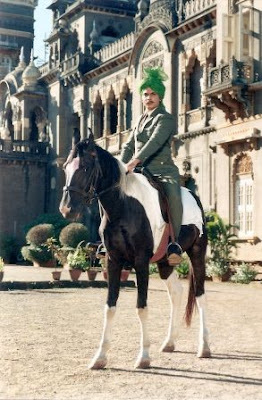 I met him first at Ekta's bangalow, and thought the was an actor, he was very tall and handsome, I always said to him " तू साला हीरो लगता है " and he use to laugh it out. he had put in lot of effort in the serial and then when it was on air there was pressure on him regarding TRP , and too much interference from non creative people was were the decision makers, I remember one scene were I tell my mother played by Shama Deshpande " माँ क्या में तेरा सौतेला बेटा हूँ , क्यूंकि तुम दृव्बो से जादा प्यार करती हो , लेकिन माँ तुम खाना नही खाती हो तो मुझे भी तकलीफ होती है " and I have tears in my eyes, lovely scene , and best of all Garry loved it, he hugged me after the scene and said to me " तू साला बाप ऐक्टर है "। was happy and when the scene was telecast it was ruthlessly cut by the Creative head, lost it charm, and that upset Garry, and he said how do they expect good TRP when such beautiful scenes are chopped like this, he was a real director a leader, he had his style, and he knew he was good, and he lived up to his expectations. 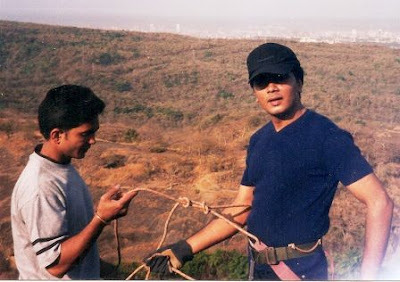 I lost touch with Balaji and television and Garry, and the serial had become very uncomfortable, for everyone, too much pressure from the Sony channel, and it was highest paid serial at that time, and was expecting too much from it, I was upset as my role was not given importance, and I lost interest and I doing V.K.Naiksaheb's film that time, Garry use to say good you are doing films, him dreamed of doing one, He had taken a CD of My film "Devki" and wanted to remake it in Hindi. After the serial was off air, we lost touch for almost 4 years, till that sms " Garry is no more ". 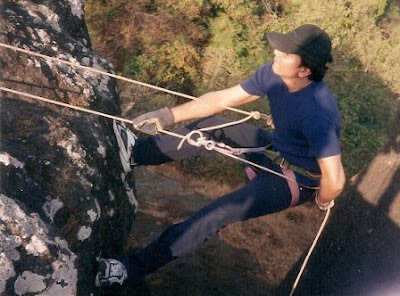 I was asking God to give strength to the family of Pradeep khare and Garry Bindar, who have left this planet much much before time, but now I ask God to give Strength to me also. as it is hard to bare all this.
" Khushboo " serial title song directed by Swapna, and today for this marathi film Written & Directed by Rajan Prabhu, Rajan even wrote its lyrics, which Shankar really liked,both Rajan and Swapna are my dear friends for long time.and both are extra talented, I am happy that genius like Shankar Mahadevan is associated with good and talented people like Rajan and Swapna. 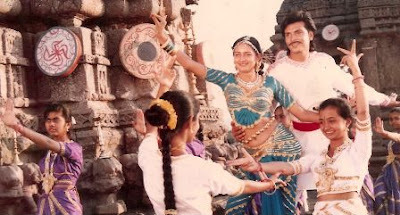 I remember the time me and Swapna were shooting in Kolhapur in the shalini Palace and middle of the shoot some started a song called the " Breathless " sang by Shankar and we stopped the shoot and started dancing, never ever thought that the same Talented singer would sing for us one day. I am sure this is a the beginning beautiful melodious journey, and many more mesmerizing songs will come on the way.. 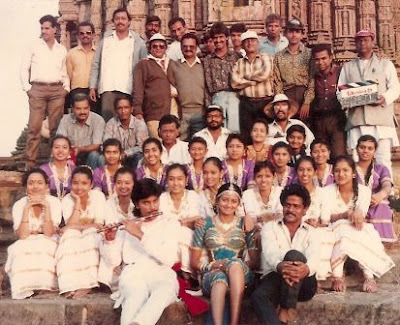 He Is Pradeep Khare, a dear friend since many many years, this is a photograph was taken at the time of shooting a song sequence from the film " Suryodaya " in poona, Pradeep Khare standing in the middle waving his hand with his mischievous smile ( Which he always had ) next to Pradeep is his wife, with me is his daughter, his son and extreme left is the heroine of the film. This was my relationship with him on screen , he played the villain in the film, and played it so well, like a professional actor. and off screen he was totally opposite, a very jolly kind of a person, happy go lucky, being the regional manager of Sansui product, and was always awarded for the maximum sales in his region. 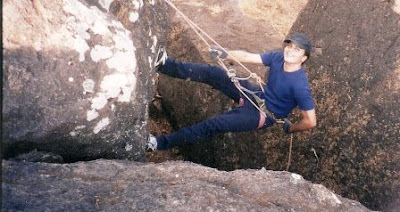 Pradeep Khare was a person whom anybody would want to be friends with, always smiling, an achiever, whatever he did he wanted to be the best. Today some body called me in the afternoon and informed me that my friend Pradeep Khare from Poona is no more, 2 weeks back he had a massive heart attack and he passed away. For me everything came to a standstill, I am still in disbelief, cannot imagine he being not around any more, After the shoot of " Suryodaya " he was the only person from the unit I was in touch with, he had informed me of the dead of Mr. Om who was doing the Production and we both felt very sad about it, and now Pradeep Khare has left this planet, it a horrible things, I can't imagine how his kids would take this shock, and how would his wife except this terrible thing, he was just 42 years old, heart attack at this age, what is happening ? I am completely in the state of shock. My God give strength to his wife & kids, and also to family and friends. As I sit back and think on what that particular well wisher said " you most have give something to Santosh or else why would he write such nice things about you " and I realised, yes I must have given him something or else why would he write this nice article, and that something is nothing material but the kind of respect which he always deserved, yes I respected Santosh from the day I met him at the film festival, I admired him whenever he conducted a forum or a seminar at the festival with renounced International Actors and Directors, I always respected his love and passion for cinema, and he hard work for Prabhat chitra mandal. What did I give him? may be just those Smiles, after coming out of the theatre watching those astonishing films at the international film festival, as we both will not be able to express in words, the kind of satisfaction we both got watching good films, the world of Cinema is not just an entertainment medium for us, the films we watch teaches us to live,and live a worthy life, very few would understand the chemistry between like minded people, and Santosh being a professor himself in Chemistry would understand people better than most of them, And people like Santosh cannot be influenced with materialists things, he is rich enough with the treasure of knowledge which very few will ever have. 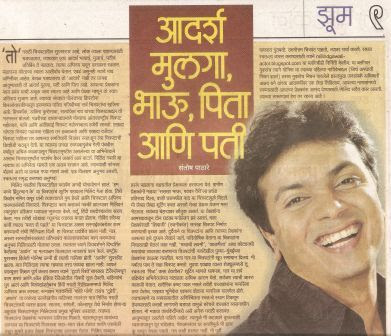 And after such a beautiful article he has written on me which has made me richer and made my family & wellwishers very proud and happy, again I would like the give him a gift which he will surely appreciate that is my " SMILE "